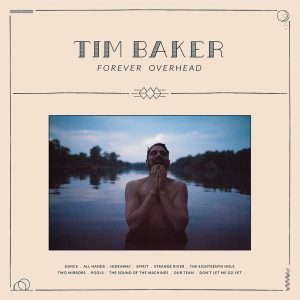 Taking the plunge and starting from scratch following the dissolution of beloved local indie rock group Hey Rosetta!, Tim Baker returns to his roots for his debut solo album Forever Overhead. Recorded between two sessions in Montreal with producer Marcus Paquin, the 13 song collection embodies the best of what we know and love of the singer-songwriter, and introduces a few new wrinkles to the game. 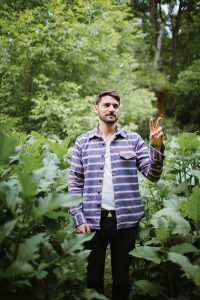 Weeks before he releases his new album on the very day he launches a cross-Canada tour at home in St. John’s, Baker sat down with The Herald for a deep dive into the loss and legacy of Hey Rosetta!, the liberation of starting anew, and the fear that comes with it. Take me through the creative process of this album. Sonically, where did you want this to go? Being less than two years removed from the end of Hey Rosetta!, I’d imagine contrast was important. Certainly Hey Rosetta! loomed large in this process for me. The question of how is this record going to be different with my work with the band was pretty central to the process. It took me a long time to make this record. 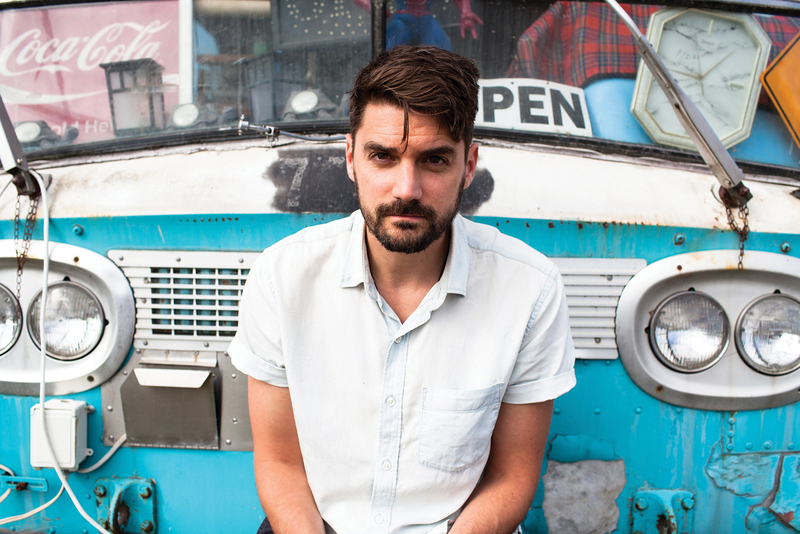 I would just write and forget about trying to sound a certain way, trying to sound alike or unlike Hey Rosetta! I was trying to be free, because that was one of the things I found exciting about the process, being free from the preconceptions and free from all the other music we made with the band and what people sort of expected. I made a lot of tunes, in a bunch of different styles. I tried to figure out what was the true line, what was the thing that’s me that has been through the whole process. There’s a bit of soul searching involved of course. I did end up reaching back to the very beginning of when I started to write music and when I first came online as a human to making music. There’s a lot of influences from listening to records around the house, 70s and 80s stuff that my parents listened to as a kid. What’s the early feedback of creating and theming a project like this solo? Is there a liberating feel to being the sole voice and decision-maker? I would say the freedom was a bit dizzying. I’d work and work and re-work and not really have any sounding boards. There’s two sides to it. You get to take it directly from your mind without anybody poo-hooing your vision along the way, and then you get to realize it. But it’s also a lot harder to see if it’s any good, because you don’t have any sort of point of reference. Going from a large and lush seven piece ensemble band to just you up there on stage on occasion must be a strange feeling. I played a few shows and it has been a bit strange. As the frontman you are in the center, in the spotlight, quite a bit anyway. There is still a bit of a buffer, or something … I think it’s going to be a little bit weird. Despite my profession I don’t really enjoy being the centre of attention. It might be a bit strange. I don’t love being ‘famous’, even though I only have a modicum of experience with it here with the band. We’ll see how that goes and pass that bridge when we’re fortunate enough to come to it. You had a slew of intimate and unique live performances through the Side Door group that saw you perform in living rooms, book stores, and generally smaller more cozy settings. Even here several months back you performed at the Peter Easton Pub. Take me through that idea of going back to the smaller venue. There’s a bunch of reasons. This was a long sort of searching process to sort of find out what this was going to be. I wasn’t immediately ready to pull the curtain down and say ‘this is it! I’ve found my new voice!’ There was a little of the baby-steps and I could go back to basics with people. More than that really I wanted to go back to the beginning again, instead of just putting a band together and being a new version of Hey Rosetta! I really wanted to strip it way back to how it was before Hey Rosetta! and build it from the songs again and see what the songs needed. That was the main thing, to reconnect with people and with the act of playing music without big stage productions or fourth walls. Go into it as sort of naked as possible. I say cowardice, but it’s more scary to do it that way than to continue as business as usual on a big stage and never look anyone in the eye. It was like embracing this thing that I’ve always been afraid of. Coming from Newfoundland people expect that you just spend your whole childhood singing songs in kitchens, but my family wasn’t really like that. I just grew up in town, and have always been a bit nervous of the sing along and nervous to play in a house. 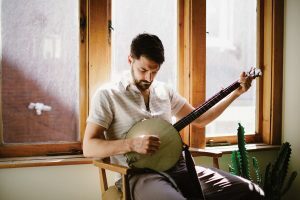 When Dan Mangan told me about his new business (Side Door) it sounded really exciting, like this is what it should be when you’re pushed out of your comfort zone. Let’s talk the album title and concept, Forever Overhead. Anything behind that? The record title, Forever Overhead, comes from a David Foster Wallace short story that I was reading on the eve of this decision whether to start again solo … well it wasn’t really a decision. I can’t really stop doing this, I just have to keep going. I was reading this as the band was deciding to close up shop. It’s a story about a young kid on his 13th birthday at a swimming pool with his family and he decides to jump off the high diving board. It’s his internal monologue of lining up and waiting to go off and feeling very scared to go off and moving away from his family who he’s just been a part of his whole life. It feels emblematic that this is his 13th birthday and he’s going to do this very grownup thing. He gets farther and farther away from his family as he climbs the ladder. He gets to the top and he’s really scared to jump off. It ends in this point of indecision … It felt like it was sort of speaking directly to me. It was exactly 13 years since the band started and it was a kid jumping into this new thing and not knowing how it’s going to go. 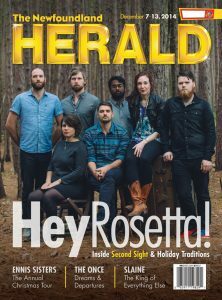 Looking back in hindsight at the 12 years of Hey Rosetta!, how do you assess that ride and the impact you all had on the Newfoundland music community? You developed a fan following, arguably, second to none here in this province. It was the greatest adventure of my life. I can’t really speak to the fans or the community at large, but to me, it was all of my energies and dreams and life force went into that for 12 years. We got so much out of this. It all came back to us and we grew so close to these people, the rest of the band. I think, in hindsight it seems a bit miraculous what we manged to do, how we managed to get off the island and tour across the country with seven people over and over again. It’s a financial miracle, that’s for sure. It was tough, and it’s in no small part in why we aren’t on the go anymore. But I think we had an amazing ride and we’re so grateful for the support that St. John’s, that Newfoundland and Canada and all our fans have shown us. It was an absolute dream. Nothing negative really comes to mind, other than it was really hard to make work. We just didn’t have a means to tour particularly comfortably and it added to the fatigue that sort of pulled the thing apart over time. Heading back to the start seems to be a big theme here with this entire record. You’re kicking off your Canadian tour at home at Holy Heart Theatre on April 19-20. I can’t wait. The new band is really excited. I’m super excited, and I’m really nervous. It’s actually the first show we’re going to play with the new band. We’re hopefully going to put some sort of warm-up show up in Hamilton. I don’t love the idea of sort of rolling in and playing to the most important fans that I have in my life. We’ll see how it goes, hopefully it’s a forgiving crowd as well. It’s the day of the record release, a legitimate old school cd release show, which I kind of like It’ll be a few new tunes for people to digest. It’s going to be a great time. I’m excited.